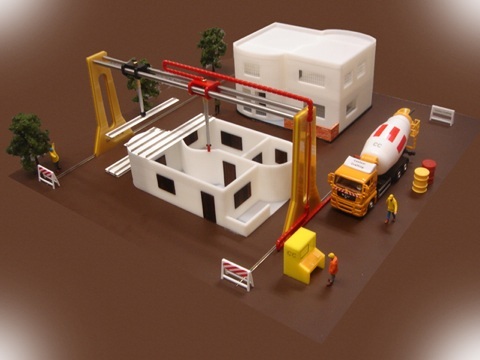 University of Southern California engineer Behrokh Khoshnevis and colleagues are developing a 3D printer for houses. This was written by Gustav Bertram. Posted on Thursday, September 4, 2008, at 13:00. Filed under Idea, Inventions, Research. Bookmark the permalink. Follow comments here with the RSS feed. Post a comment or leave a trackback.